Deodorants and antiperspirants are a part of our daily routines. Most guys apply it in the morning without giving it a second thought. They help to keep your body odor in check so that you always smell fresh and presentable. That being said, is your deodorant or antiperspirant effective? When you are buying deodorant, you may find yourself a bit stumped in the aisles. Do you choose a deodorant or antiperspirant? What’s the difference? What ingredients do you need? There are a ton of choices available, leaving you to break a sweat just making a decision.Choosing the right deodorant or antiperspirant shouldn’t be difficult. You should always listen to your body and choose a stick that caters to your lifestyle and habits. Essentially, you should choose a stick based on how sweaty and smelly you get. Different ingredients and brands can help to both cover up your body odor and stop the nasty bacteria that lead to an unpleasant aroma. In the end, the right deodorant or antiperspirant will keep you cool, dry, and smelling great. When guys are looking for a product to help with body odor, they often don’t know the difference between deodorant and antiperspirant. While most think that they are the same thing, they are quite different. Deodorant is designed to eliminate odor. It can be used on any part of the body, not just the armpits. In fact, many guys will use deodorant on the feet, hands, and back. Deodorants are effective on any part of the body that sweats and becomes smelly. While the ingredients vary from brand to brand, they usually contain similar ingredients. The alcohol in deodorant is what fights the odor. It makes the skin acidic, which fights the bacteria. As we sweat, bacteria on the skin reacts and causes odor. With deodorant, this reaction is avoided and eliminates the smell that turns people away. Additionally, fragrance can help to cover up odor and enhance your natural smell. If you want to stay fresh throughout a workout or hot day, deodorant is the way to go. It is recommended to switch up your deodorant every few months so that bacteria on your skin doesn’t become immune to it. Switching up brands every now and again will ensure that bacteria are always eliminated. If you have sensitive skin, you may find the hunt for deodorant difficult. You can always go with natural or soothing deodorants. In most cases, irritation from deodorant comes from its alcohol content. To combat this, you can look for a deodorant with soothing ingredients. Witch hazel is a popular ingredient that has soothing properties. It’s actually used in aftershaves and astringents to sooth the skin. Deodorants with witch hazel will prevent irritation while still leaving you fresh. 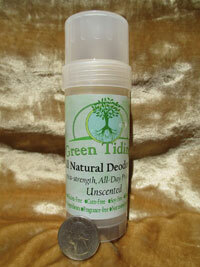 You can also get a deodorant without artificial fragrances. Many deodorants have essential oils rather than artificial scents. Not only are these natural, but many have antibacterial properties, allowing the deodorant to forgo alcohol altogether. Additionally, you can go with a deodorant that has baking soda. Baking soda can be used all over the home to stop odor, so why not use it in a deodorant? This classic ingredient neutralizes odor molecules instantly, keeping you dry and smell free. Instead of killing the stink in your sweat, you can just stop the sweating altogether. Antiperspirants are a type of deodorant that keeps you dry. In addition to the basic ingredients contained in normal deodorant, antiperspirants contain aluminum chloride. This aluminum reacts with your sweat immediately. It produces salt that will clog your pores and prevent sweat from escaping. While they don’t keep you completely dry, they keep your sweat in check. It is a great option for those who sweat excessively. Instead of walking around with embarrassing sweat stains, you can use antiperspirant with aluminum to stay as dry as possible. This is a unique deodorant that keeps you smelling natural. It doesn’t contain any fragrance, allowing you to use cologne without any mix up. Alternatively, you can let your natural scent shine through. This deodorant doesn’t use alcohol, but rather tea tree oil and witch hazel to fight off malodorous bacteria. It is a great option for those with sensitive skin, as there is no aluminum or alcohol to cause irritation. Additionally, it goes on clear and dry. There’s no need to worry about unsightly stains on your clothes. This deodorant isn’t just affordable, but it’s very effective. It contains a number of ingredients to combat bacteria and keep you smelling desirable. Fragrance wise, this deodorant has hints of citrus, amber, and chocolate. While this may sound unorthodox, the different scents create something unique and desirable. With the accompanying shower gel and body spray, you’ll smell great all day. Old Spice isn’t just for your grandfather. 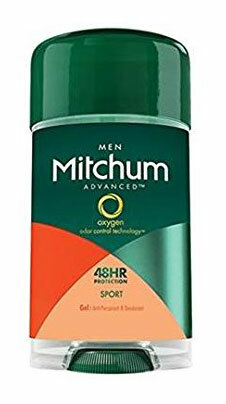 This deodorant is made with performance in mind. It is designed to last all day, despite excessive sweating and all day activity. It contains mineral oils and sodium to fight off bacteria. The fragrance is manly, yet natural. It’ll only enhance your smell as you sweat through a workout. What stands out about this deodorant is its ability to last all day long. You can put it on in the morning and ensure that you are always fresh. Another great selection from Old Spice, this deodorant is designed for guys who want a unique smell and long lasting odor protection. This deodorant can last up to 24 hours. Not only that, but it releases the fragrance throughout the day. This controlled release will ensure that you won’t need to touch up throughout the day. The rugged and attractive fragrance will attract all the right attention. If you have sensitive skin, this deodorant will keep you fresh and irritation free. It contains natural ingredients to fight off bacteria and odor. One of the main ingredients in this deodorant is coconut oil. Not only is it extremely moisturizing, but it is antibacterial. Other ingredients, such as shea butter, arrowroot powder, magnesium oil, and wildcrafted candelilla wax, work together to keep you fresh and odor free. With no scent, you’ll smell natural and clean. This upscale men’s antiperspirant is effective in keeping you dry and smelling great. It couples the sweat blocking properties of antiperspirant with the odor fighting properties of deodorant to deliver a truly effective product. 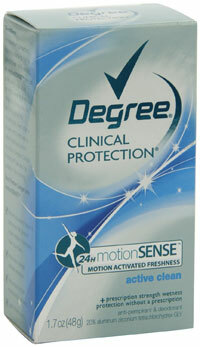 Best of all, this antiperspirant is designed to soothe the skin and prevent irritation. When it comes to fragrance, the smell of this antiperspirant is decidedly manly without being overly musky. It’ll keep you dry and smelling great throughout your workout and a night out. This antiperspirant is designed to last all day. It is 25% aluminum to keep you dry for up to 48 hours. It also incorporates oxygen to fight off odor. It is alcohol free, so it is great for sensitive skin. In fact, it contains aloe vera extract to soothe the skin and fight off bacteria. With a sporty scent, this antiperspirant is attractive and rugged. 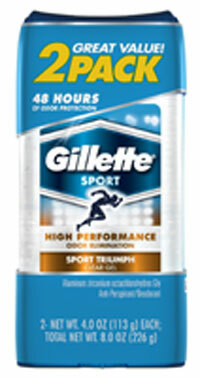 This antiperspirant contains 16% aluminum, providing up to 48 hours of sweat control. It is in gel form and dries seconds after application, so there’s no worry about marks and stains. The formula, containing alcohol and mineral oil, is designed for active guys who need as much odor and sweat control as possible. Additionally, the manly scent is perfect for all-day wear. This is a unique antiperspirant that is designed to fight excessive sweating. 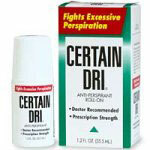 It is similar to prescription strength hyperhidrosis antiperspirants, but is available as an over-the-counter product. It is safe to use and incredibly effective. You can apply this antiperspirant before bedtime to have a sweat free day after you wake up. It will not wash off in the shower, instead providing you with highly effective sweat protection all day. This antiperspirant is clinically proven to give you sweat protection all day. Furthermore, it is dermatologist tested to prevent irritation. It has unique ingredients, such as microcrystalline wax, that block sweat from escaping the pores while providing a pleasant smell. It should be applied every night to provide you with continual protection.